Discover the gift that keeps on giving. By surprising someone with these beautiful bunches of flowers, you also enable two girls to go to school for a year. The beautiful white roses, dianthus, trachelium, white freesia, purple lysianthus and purple veronica are hand-tied by our floral stylists and sent with the stems in abiodegradable and reusable gel to keep the flowers fresh. 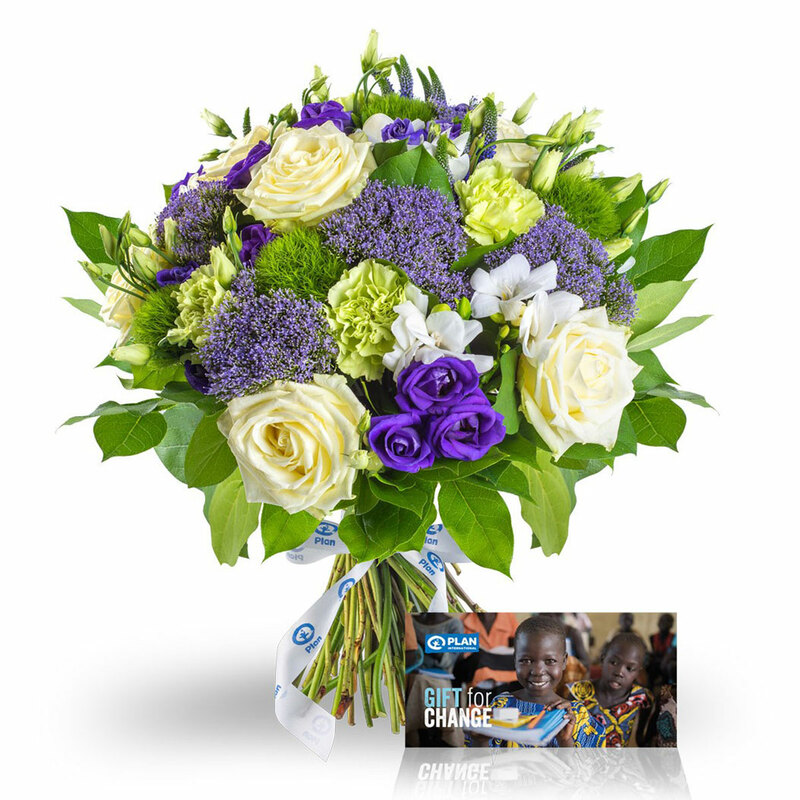 Thanks to this Flower Gift, Plan International Belgium is able to send two girls to school for a whole year. Girls who complete at least nine years’ education are able to make a better future for themselves and future generations. In its education projects Plan gives special attention to girls, so that they are able to improve their environment together with boys. 1Gift Card Plan Belgium - All Girls to School!